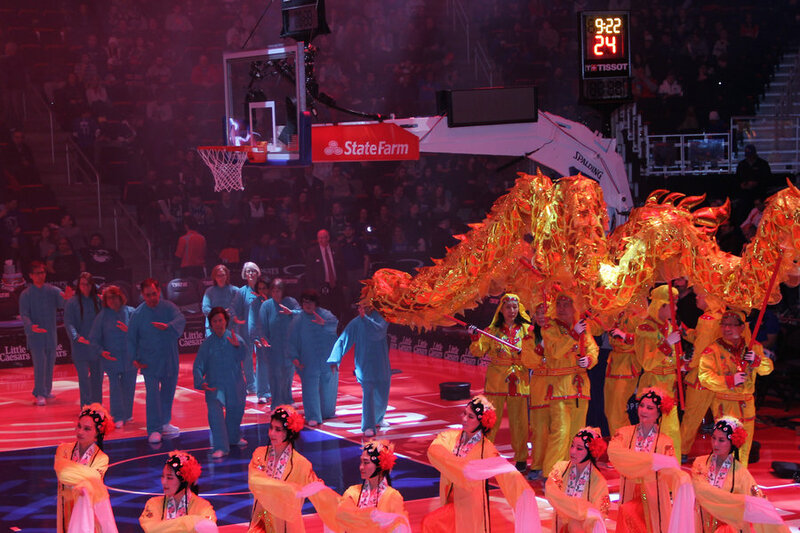 On the evening of January 31st, 2019, the Detroit Pistons held a "Happy Chinese New Year" celebration during their home game. 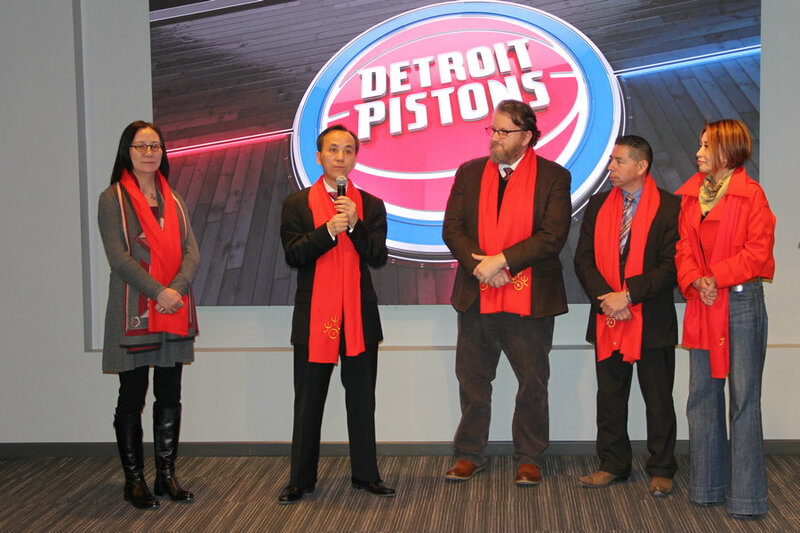 Acting Consul General Liu Jun and Consul Zhang Min of the Chinese Consulate General in Chicago, Vice President Arn Tellem of Detroit Pistons, representatives Vince Keenan and Roberto Torres of the Mayor of Detroit and others attended the event. 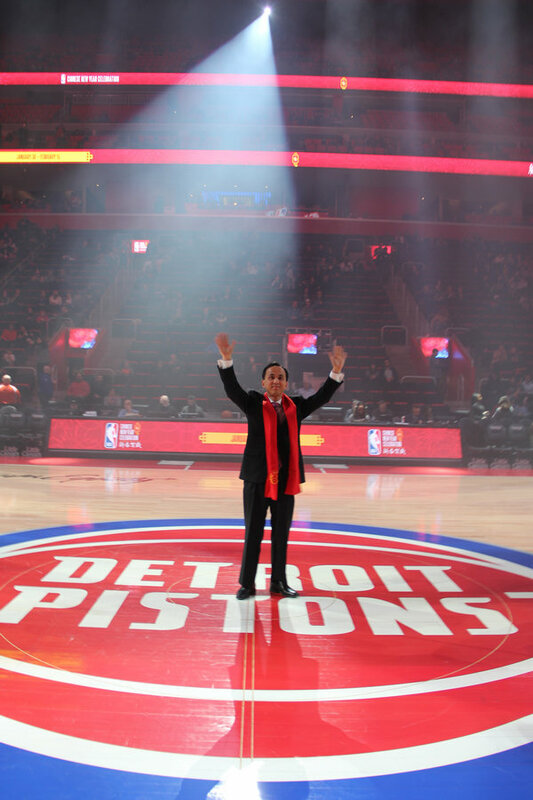 The event was jointly organized by the Detroit Pistons, North American Chinese Coalition, Chinese Association of Greater Detroit, Michigan Chinese Arts Troupe, and Dragon Eagle TV. On that night, the Pistons played against the Dallas Mavericks at the Little Caesars Arena. 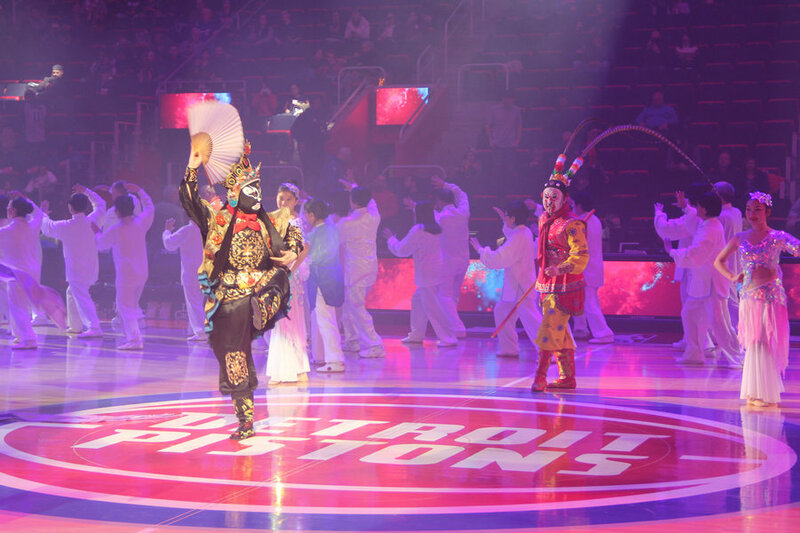 Before the game began, members of local Chinese organizations welcomed the audience with a fierce and fiery lion dance. 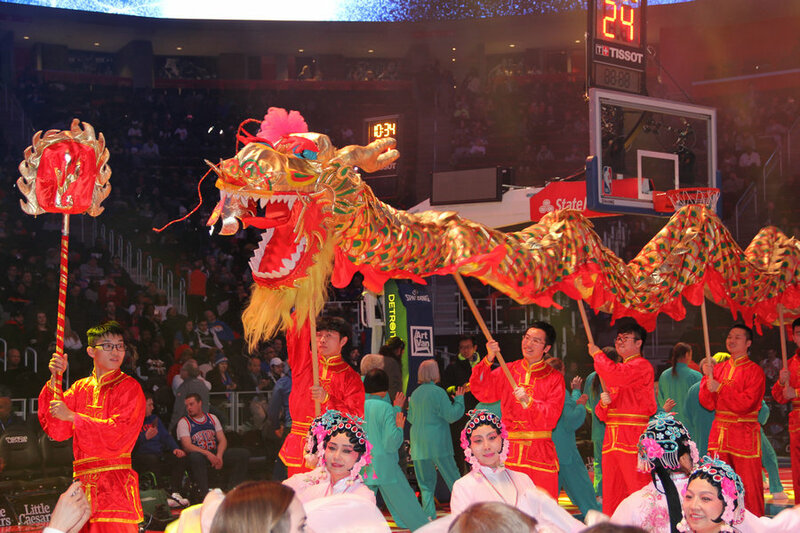 During intermission, the Michigan Chinese Arts Troupe and local Chinese school arts groups brought the spirit of traditional Chinese culture alive with performances of a dragon and lion dance, percussion-based dance, waist-drumming, and a display of Tai Chi. Specially-invited artists from the Sichuan Opera Company stunned the audience with acts such as mask-changing and a long-silk dance. Acting Consul General Liu Jun was also invited to the center of the stadium to wish the audience happy new year. Throughout the game, the entire stadium was heavy with the festive atmosphere of the Spring Festival and the undulating booms of cheer and applause. 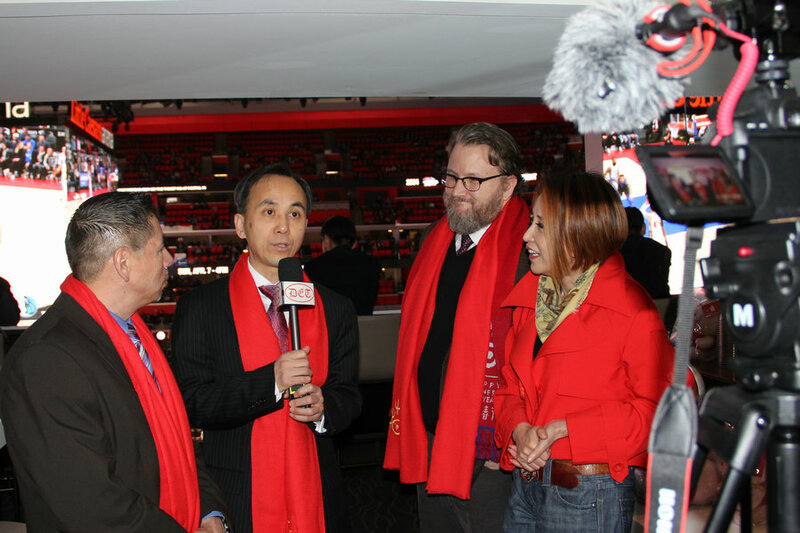 Before the game began, Acting Consul General Liu Jun attended a special guest reception and there extended New Year greetings to the other guests. He expressed that the Spring Festival, which has a history of more than 4,000 years, is still China’s most important traditional festival. This holiday is the embodiment of the Chinese people's sentiments, traditions, aesthetics and cultural origins. In recent years, every time the Spring Festival rolls around, nations all over the world, including the United States, organizes a variety of celebrations. 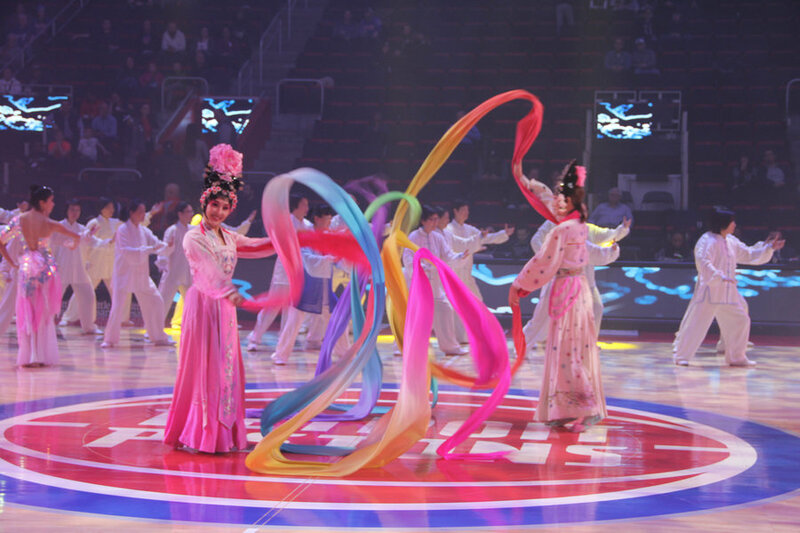 Tonight is the third time since 2017 the Pistons have invited local Chinese arts troupes to put on live performances and celebrate the Chinese New Year with fans at their home game. I would like to express my deepest of gratitude to all who have given tremendous support to tonight’s event and to the local Chinese community. Acting Consul General Liu Jun continued that this year marks the 40th anniversary of the establishment of diplomatic relations between China and the United States. Both of our countries are holding a series of important celebrations including athletic and cultural activities. As two nations with great global influence, the development of China-US relations has an immeasurable impact not only on our two countries, but also on the world at large. Thus, it is our responsibility to work together to set the development of China-US relations on a healthy and stable track. Cultural exchanges are currently playing an important role in promoting friendly relations between the two countries and enhancing friendships between both peoples. 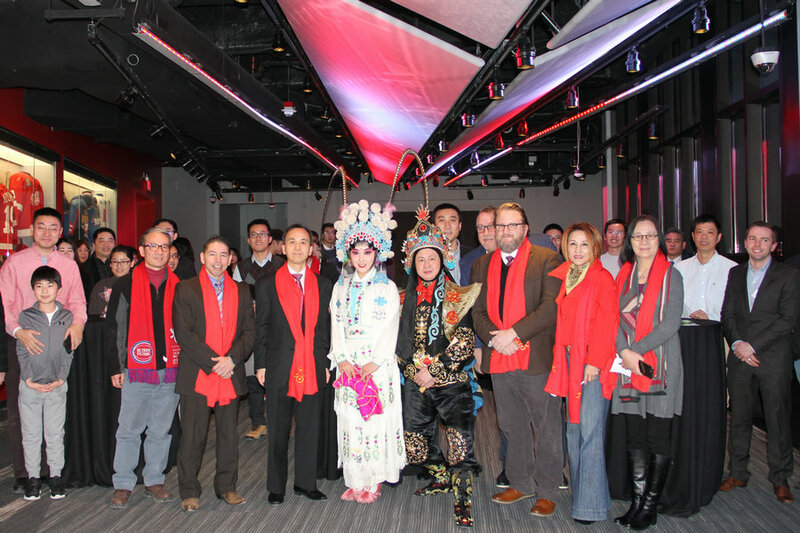 On behalf of the Mayor of Detroit, Vince Keenan extended New Year greetings to the overseas Chinese community. In his speech, he affirmed that the city of Detroit attaches great importance to developing friendly relations with China in various fields and acknowledges with absolute respect the contributions the local Chinese community has made towards the building of the city. 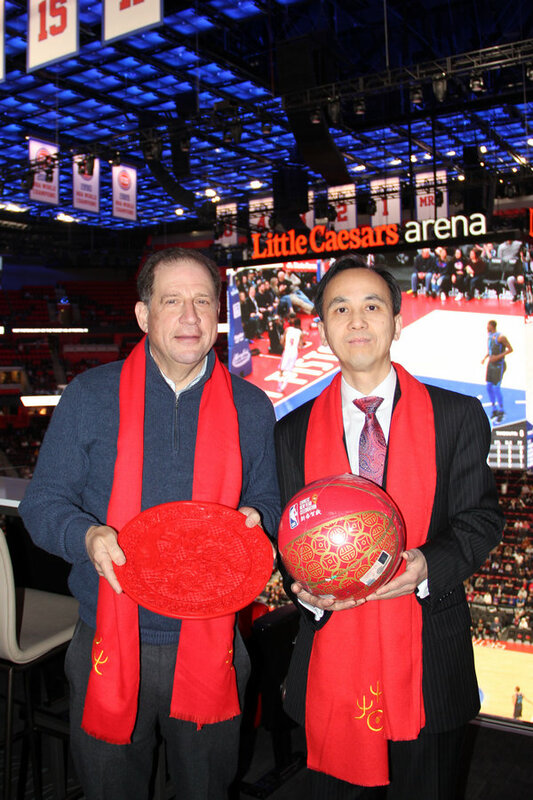 During the game, Acting Consul General Liu Jun had a friendly interaction and exchanged gifts with Vice President Teller. They also both conducted TV interviews with local Chinese media outlets.